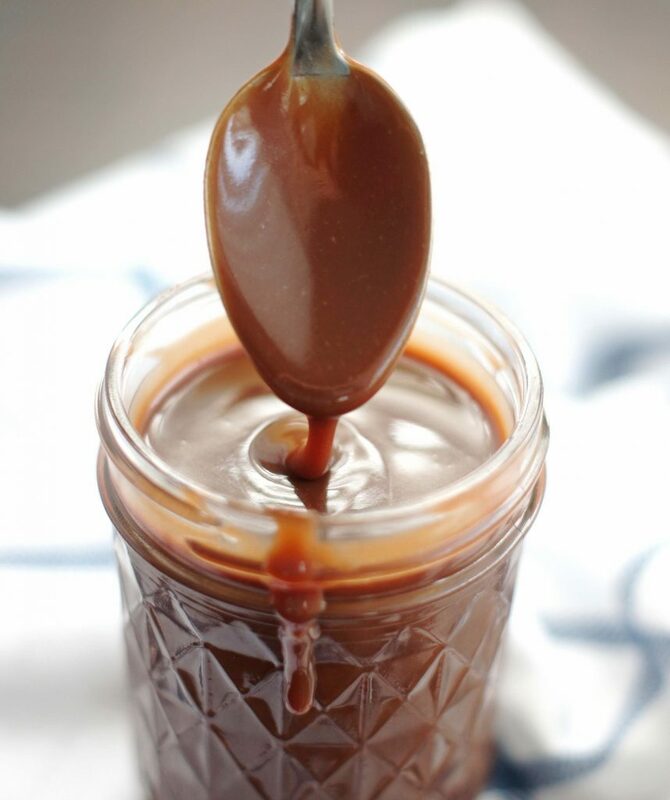 This Homemade Chocolate Sauce is smooth, decadent and so, so delicious. It’s been a family favorite longer than I can remember. My family has been enjoying (and by enjoying I mean devouring) this Homemade Chocolate Sauce for years. My mom got this recipe years and years ago and it’s become the chocolate sauce of choice by my family. It even made it’s way into our first family cookbook. This chocolate sauce has been the finale to many of our family dinners. I’m not going to lie, we have been known to stand at the counter with spoons in hand, eating this right out of the pan. Who even needs ice cream and brownies?! You’d think we were a bunch of savages. When we do manage to pull ourselves away from the pan, our brownies and ice cream are swimming in chocolate sauce. I can’t believe I’ve never shared this recipe. Shame. On. Me. 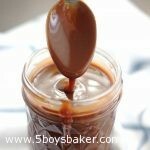 Insanely delicious, decadent, smooth, velvety and so divine would be the perfect way to describe this chocolate sauce. On top of being utterly amazing, it’s so simple and quick to make. It’s done from start to finish in about 12 minutes, give or take a few. 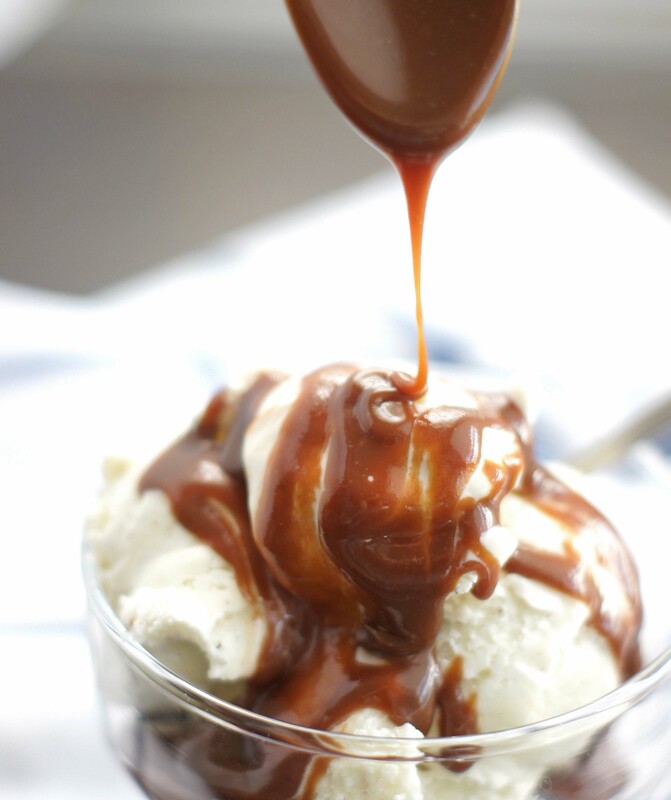 I use this chocolate sauce for my mint oreo ice cream dessert (talk about delicious!). We love it drenched over brownies and peppermint ice cream. . . seriously yum! And another favorite of ours is a warm chocolate chip cookie with a scoop of vanilla ice cream and then this chocolaty goodness poured on top. My mouth is watering while I’m typing this. One more thing, if you’re looking for a good idea for neighbor gifts this Christmas, a little jar of this with a bow wrapped around it would make you BFFs with your neighbors. I’m just sayin’. In a medium size saucepan, whisk together cocoa, flour, and sugar. Add butter and evaporated milk and cook over medium heat, whisking constantly. Bring to a boil and continue to cook for 4 minutes. Allow to cool slightly before serving over ice cream or whatever you like. I just made a batch this morning and oh wow, it is wonderful. I am storing it in the fridge. When you use it, do you microwave the whole container or do you take out what you need and heat it up? Do you use the microwave or a hot water bath? Thanks Jodi! Hi Teresa! I love that you’ve already made a batch of this, we should be neighbors :)! That is a great question about heating it in the microwave. I’ve updated the instructions with that info, so thank you for asking that. I do just dish out the amount I’ll be using and heat it up. There are times when I like it over ice cream cold and thick, so I just use it straight from fridge. Hope you enjoy it! I am not going to lie…….I literally eat this by the spoonful…no ice cream needed!